This 40-hour course is designed to provide the new fire investigator with the prerequisite knowledge necessary to properly determine the origin and cause of a fire and to refresh the experienced fire investigator with his/her current knowledge base as it relates to the scientific investigation of a fire scene. The course is designed to be taught in a week-long period but can be spread out over time depending on the needs of the agency or department. 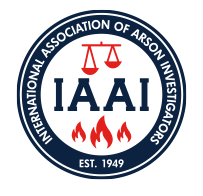 This course provides the basis for the IAAI Fire Investigation Technician certification.